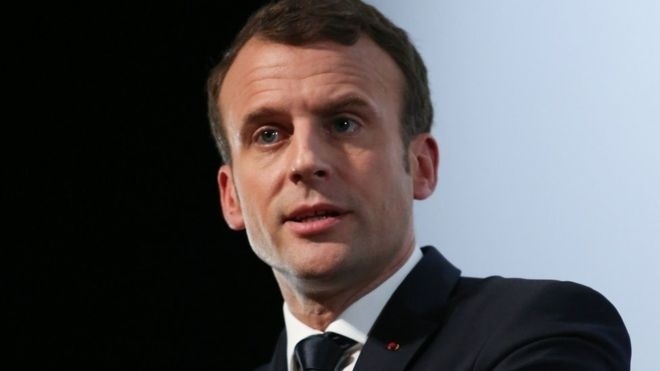 AKIPRESS.COM - French security agents have arrested six people on preliminary terrorism charges for allegedly plotting to attack French President Emmanuel Macron, according to a French judicial official, CBS Newsreports. The official, speaking on condition of anonymity to discuss the allegations, said intelligence agents detained the six in three widely scattered regions, including one suspect in the Alps, another in Brittany and four suspects near the Belgian border in Moselle. He said the plan to target the French president appeared to be vague and unfinalized but violent. Authorities said the six were between 22 and 62 years old and included one woman. It is not known if they were suspected of working together. French presidents have been targeted several times over the decades, including in 2002 when a far-right sympathizer tried to attack President Jacques Chirac on the Champs-Elysees Avenue in Paris during Bastille Day celebrations. The suspected plot was uncovered days before U.S. President Donald Trump and dozens of other world leaders are due in France for commemorations this weekend of the signing 100 years ago of the Nov. 11 armistice that ended World War I.